It was a comment. You know how people put ads on websites and get payed. This guy thinks it could work with his fridge. 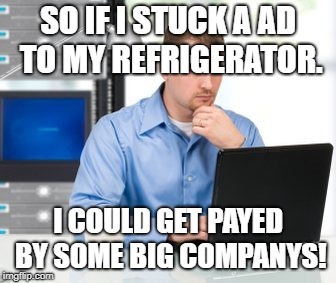 SO IF I STUCK A AD TO MY REFRIGERATOR. I COULD GET PAYED BY SOME BIG COMPANYS!